The” yin and yang” of family travel means that, in return for enduring godawful meals at “Chuck E.”-type establishments which please my kids, I expect their best behavior at places which may not hold a lot of kid-friendly appeal. This deal doesn’t always work, but it’s a goal. I thought I might have to cash in a few credits when we took them to the Mirror Lake Shuffleboard Club, but they actually enjoyed it – almost as much as I did! Do these retro colors remind anyone else of "The Golden Girls" set? 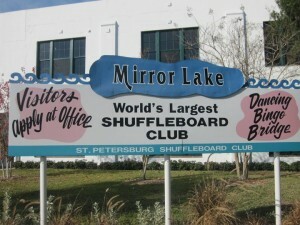 The world’s largest shuffleboard club is in St. Petersburg, FL, so we planned to visit during our holiday road trip to the Sunshine State. Since it’s not open every day, I made special arrangements with the St. Petersburg Shuffleboard Club president, a gracious and enthusiastic volunteer named Christine. 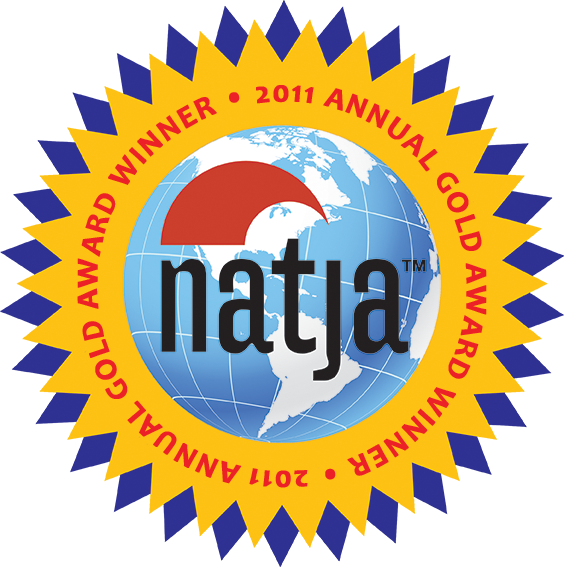 We played shuffleboard last spring as a family at the Woodloch Pines Resort, and we all enjoyed it. (Momma had game…thoroughly surprising everyone.) So we were all up for trying it again. Even Grandma and Grandpa came along. For me, shuffleboard has a “retro” appeal, representing a time in our history when family entertainment was more social, and wholesomely unplugged. I learned that this club has been experiencing a surge in popularity, offering weekly play on Friday nights, and attracting hundreds of locals. In particular, families. This was one of those times I wish I had a time machine. The Mirror Lake complex, built in 1923, is the oldest shuffleboard club in the U.S. 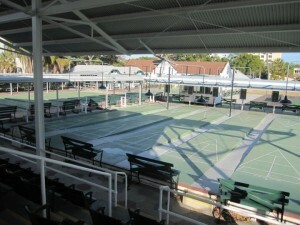 In its heyday — the 1930’s through the 60’s — the club gained international fame as the world’s largest, by virtue of having 110 playing courts and an annual membership of over 5,000. I would have loved being there on a spring evening at the height of its popularity, gussied up in white – as was the custom — for a night on the court. There are now 65 shuffleboard courts at Mirror Lake, and covered grandstand seating for over 100. We had the place to ourselves, so Christine directed us to a regulation court. 30 feet of bowling pin! I’m taking a break from the Montréal series this week, because I’ve been dying to post this one! During our April trip to Florida to visit family, my whole clan spent the evening together at Splitsville, a bowling alley in Tampa, FL. Outside the front door stands the world’s largest bowling pin, towering 30-feet over the courtyard of the Channelside entertainment complex. Let’s just say things went much smoother than they did the day before while on the world’s longest continuous sidewalk. Not only can my dad bowl, he takes great photos, too! I hardly need to justify my need to see a 30-foot bowling pin, do I? Is there a more compelling symbol of retro Americana? Just the site of it evoked childhood memories of loud, fluorescent-lit alleys; worn, ill-fitting shoes; greasy french fries; and filling in score cards with a nubby pencil. Of course, now a computer does the score-keeping for you, requiring none of that pesky arithmetic. If I did need to justify the Pin Pilgrimage…why are you doubting my choices?!? !…I would just say that going to Splitsville offered the promise of a great evening with my whole family, including my parents, my brother, sister-in-law, and 12-month old niece (sporting her black “Kiss” T-shirt, no less).